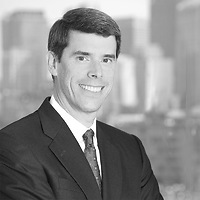 David L. Ferrera, a partner in Nutter’s Litigation Department and chair of the firm’s Product Liability practice group, served as editor of Massachusetts Continuing Legal Education, Inc.’s (MCLE) Massachusetts Courtroom Advocacy 2017 handbook. This guide to Massachusetts trial technique provides tips, effective strategies, and practice techniques to advocate for one’s client in court. The publication features chapters on mediation and arbitration advocacy; jury matters; and extensive guidance on damages, as well as a chapter devoted to criminal practice. In addition to serving as the publication’s editor, David authored the “Cross-Examination” chapter.